Many types of stratigraphic traps correlate with sets of basement faults shear zones and lineaments where basement fault shear zone patterns control most local structure and much of the stratigraphy within the overlying, younger sedimentary section. Eslan Labs specializes in mapping basement faults and shear zones from gravity and magnetic interpretation. As simple shear displacement increases, the principal finite elongation and the finite plane of flattening make a progressively smaller angle with the shear zone walls. Progressive shearing leads to a progressive intensification of these planar and linear fabrics and a change in their orientation. Because ductile shear zones generally show a maximum displacement gradient in the zone center, it follows that the tectonically induced planar fabrics of shear zones generally show a characteristic sigmoidal form. Where a set of pre-existing sub-parallel planes cross a brittle-ductile fault shear zone with varying displacement gradient, variations in local shear sets up a similar folding style where their axial planes are parallel to the zone. Pre-existing fold axes take up new orientations in the fault shear zone. These lines come to lie closer to the direction of the shear, and are often very striking at high shear strains. Theory predicts that only three possible orientations of principal stress axes can occur, and therefore only three types of faults are found near the surface: normal to the earth’s surface giving rise to high angle normal faults, normal to vertical strike-slip faults, and normal to low angle. Of particular interest to exploration geologists is the behavior of basement faults shear zones that pass from ductile at deep levels to brittle behavior at higher crustal levels. This problem is of major importance in exploration plays that involve basement-cover relations in orogenic belts. Ductile basement faults shear zones must initiate and propagate at some point in the rock. The spacing of adjacent shear zones depends upon the numbers of such initiation points. Ductile basement faults shear zones are characteristically devoid of discrete rupture surfaces that weaken the shear zone. Instead, later ductile displacements in the zone appear to continue to act along the zone of previously deformed rock. The rocks of basement faults shear zones commonly have a smaller grain size than the parent undeformed material outside the shear zone. It is well established that the deformability of crystalline aggregate increases as the grain size decreases. The strained rock becomes progressively easier to deform, a feature termed strain softening (Ramsay and Graham, 1970). Once a critical level of finite strain has been reached, further displacement would be most easily accomplished by continued deformation of the less deformed marginal parts of the shear zone, and so widening the zone by deformation of the undeformed walls. Some basement faults shear zones develop with accompanying volume change. In deep seated ductile shear zones in high metamorphic environments the extent of volume change is probably <1 per cent. However, in low-grade metamorphic environments volume change can be 20-50 percent. Basement faults shear zones and lineaments are a special form of shear zone where a clear discontinuity exists between the sides of the zone, and where the walls are almost unstrained. Brittle-ductile faults shear zones exhibit some ductile deformation in the walls, and the deformation zone shows an en-echelon array of extension openings, making an angle of 45 degrees or more with the shear zone. Ductile basement faults shear zones, exhibit deformation of the walls entirely by ductile flow. High deformations are often localized in narrow, sub-parallel sided zones, loosely termed shear zones. At outcrop scale, the simplest shear zone boundaries are parallel sided, and the displacement profiles along any cross section of the zone are near identical. At regional scale these simple conditions can never be completely realistic because all basement faults shear zones have to come to an end (their sides must eventually come together), many branch and their displacement profiles must change near their termination. This means that it is highly unrealistic that basement faults, shear zones or lineaments, can exhibit straight linear traces over long distances, casting serious doubt on mapping faults shear zones as linear interpretations of fault structures. Zones of Contraction - most orogenic belts show an overall shortening of the sedimentary cover strata by means of thrusting and nappe gliding. Where basement faults shear zones are exposed in the orogenic zone it is usually seen to be accompanied by shortenings of the order of hundreds of kilometers are common. Many of the folds and overall geometry of the nappes are related to the movement of the sheet over step-like ramps in the underlying irregular sub-thrust surface. In the more internal parts of the orogenic belt the basement faults shear zones pass from basement to cover so that folds of similar style found in the basement penetrate into the cover strata. The ductile shearing is often so intense that the original basement-cover unconformity is often completely obliterated. At deeper levels the rheological contrasts of the cover layers become less we pass through a lower angle brittle -ductile shear zone transition into conjugate low angle ductile shear zones. These basement faults shear zones enable the deep crustal levels to extend: they can give rise to boudinage or to conjugate folding of the layering in the basement upon the orientation of this layering. Conjugate pairing of the shear zones is necessary for a complete graben tectonic pattern at higher levels. Identifying basement faults shear zones and fractures from magnetic fields is a powerful tool in identifying pathways for oil and gas exploration, particularly in defining potential shale gas plays. Basement faults shear zones and fractures correlate positively with total content of gas in shale, and provide insight on the stress regime that controls the direction of fracture propagation which is necessary for effective hydraulic fracture treatment design. Sets of basement faults shear zones lineaments in the rock section typically occur along shear zones in the basement that are periodically reactivated by tectonics or gravitational loading. Consequently, they have influenced depositional patterns and locations of structures throughout geological time. Quantify confidence, reduce human bias, and enhance high-dynamic range fields – akin to a spell checker. 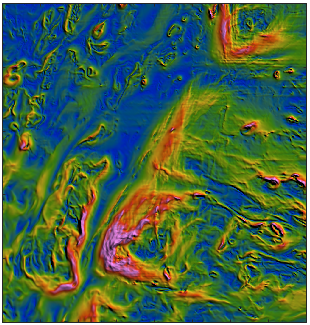 Our interpretation methodology is based on quantitative phase congruency and symmetry images of features derived from multi-scale and multi-source gradients of the gravity and magnetic fields in a realistic structural context. 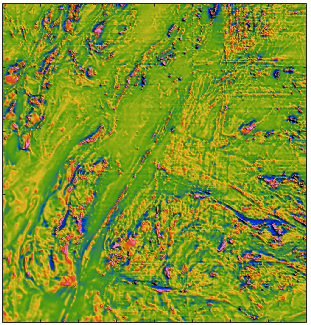 Phase preserving mapping of high dynamic range field images use edge strength (phase congruency), and ridge strength (+/- phase symmetries) in order to improve assessment of structural interpretation of gravity and magnetic fields related to faults shear zones. Phase congruency is a robust measure of feature significance detecting faults shear zones features at any phase angle. Phase symmetry is a similarly invariant measure of symmetry in an image. Adding important detail to the packets of faults shear zones lineaments that control graben geometries, transcurrent faults, depth-to-basement. Mapping packets of faults ductile shear zones lineaments, derived from structures in the basement can lead to understanding the control that sets of basement faults shear zones lineaments have on petroleum and mineral accumulations. Vertical derivative worms are maximum gradient points of the first vertical derivative of either the gravity or magnetic fields. EHD worms derived from enhanced first vertical derivative of the field and provide detail at low levels of upward continuation. Sets of basement faults shear zones lineaments control fluid migration and transport, including magma, hydrothermal fluids and hydrocarbons of economic significance. Once basement faults shear zones are established, they are often long-lived features prone to multiple reactivation over large time-scales. Metamorphosed rocks can be far more complicated than the stratified rocks. We provide significantly more detailed analyses of basement faults shear zones and lineaments such as region stress regimes, strain meta-data including volume changes that indicate controls on seismic fluid pumping that can provide new insights into mineralization. Eslan Labs provide structure-focused assessments of faults shear zones lineaments to the exploration risks and opportunities in mature, frontier and under-explored basins enabling you to identify the geological context of any region. Our geophysicists and structural geologists work to provide improved solutions to better understand the geophysical effects of basement faults shear zones lineaments and the tectonic evolution of the crust. Our experts have many years experience integrating disciplines including fault kinematics and structural analysis; geodynamics, and plate modeling. We create a set of structural and crustal architecture databases, including stress regime interpretations of basement faults shear zones lineaments and depth-to-basement studies in intracratonic basins with plate model analyses that underpin our petroleum system assessments. An important objective is assessment of the type of deformation, the geometries of basement faults shear zones lineaments, crustal types, and basin fill. Our detailed structure mapping of sets of basement faults shear zones lineaments, detail sedimentary basin and intra-basinal structures. 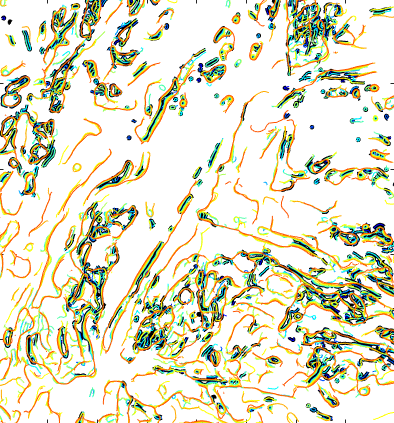 We conduct detailed crustal architecture analysis, including gravity and magnetic interpretation, depth to basement, depth to Moho, crustal thickness, and sedimentary thickness mapping. Reduction to pole or reduction to equator of dipolar magnetic fields must be performed before any processing can be performed. Basement faults shear zones lineaments are best identified by an interpreter with an expert background in modern structural geology. Multi-scale analytics based on the enhanced horizontal derivative (EHD ) of Fedi and Florio, 2001 – a high resolution boundary estimator for detecting basement faults shear zones and lineaments based on the weighted sum of vertical derivatives. 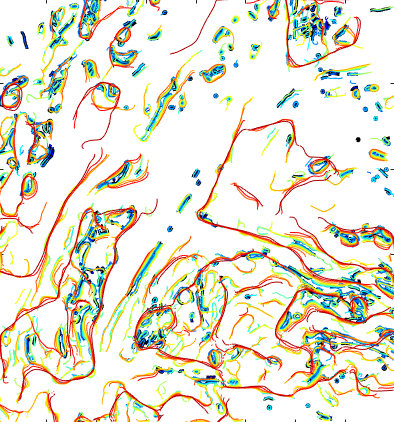 Multi-source data fusion finds coherent basement faults shear zones and lineament structures based on fusing complementary multiple data types and by suppressing the effects of noise and processing artifacts. Multi-level modeling where large-scale basement faults shear zones and lineament anomalies are revealed and thus can be inferred as deep sources. Fusion of multi-source, multi-scale and multi-level features generate our integrated final interpretation. This avoids the “stack-of-sticks” maps produced by too-zealous interpretation and overly enthusiastic lineament hunting. Over any tectonic region, structural features often remain in the topography, geology and gravity and magnetic fields. Though less distinct with age these are still important indicators of past stress regimes, indicating basement faults shear zones lineaments, displacements, and regional basinal structures. Cover-basement contacts are not affected by current erosion, so these structural patterns remain and basement faults shear zones and lineaments can be revealed from potential fields. Broader scale basement faults shear zones and discontinuities, across which the anomaly pattern takes on a sigmoidal displacements often indicate ductile-brittle basement faults shear zones and lineaments. Any linear potential-field feature that runs for hundreds of kilometers, with associated displacement indicators across tens of kilometers perpendicular to the structural trend, are candidates for major crustal faults shear zones lineaments. Cooper, G. R. J. and D. R. Cowan, Enhancing potential field data using filters based on the local phase, Comput. Geosci., 32, 1585–1591, 2006.
Cooper, G. R. J. and D. R. Cowan, Edge enhancement of potential-field data using normalized statistics, Geophysics, 73, H1–H4, 2008. Felsberg, M., and Sommer, G., 2001, The Monogenic Signal: IEEE Trans. Signal Processing, 49, 3136-3140. Gale, J. F. W., Reed, R. M., and John Holder, 2007, Natural fractures in the Barnett Shale and their importance for hydraulic fracture treatments: American Association of Petroleum Geologists Bulletin, 91, 603-622. 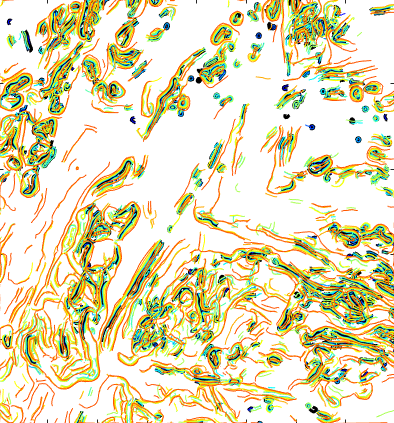 Fedi, M. and G. Florio, Detection of potential fields source boundaries by enhanced horizontal derivative method, Geophys. Prospect., 49, 40–58, 2001. Hornby, P., F. Boschetti, and F. Horowitz, Analysis of potential field data in the wavelet domain, Geophys. J. Int., 137, 175–196, 1999. Hsu, S. K, J. C. Sibuet, and C. T. Shyu, High-resolution detection of geologic boundaries from potential field anomalies: an enhanced analytic signal technique, Geophysics, 61, 373–386, 1996. Lyatsky, Henry. 2004. Detection of subtle basement faults shear zones with gravity and magnetic data in the Alberta Basin, Canada: A data- use tutorial, The Leading Edge , December 2004Marcotte, D.
McGrath, P. H., Dip and depth extent of density boundaries using horizontal derivatives of upward continued gravity data, Geophysics, 56, 1533–1542, 1991. Rao, D. A., H. V. Babu, and P. V. Narayan, Interpretation of magnetic anomalies due to dikes: The complex gradient method, Geophysics, 46, 1572–1578, 1981. Reid, A. B., J. M. Allsop, H. Granser, A. J. Millett, and I. W. Somerton, Magnetic interpretation in three dimensions using Euler deconvolution, Geophysics, 55, 80–91, 1990. Roest, W. R., J. Verhoef, and M. Pilkington, Magnetic interpretation using the 3-D analytic signal, Geophysics, 57, 116–125, 1992. 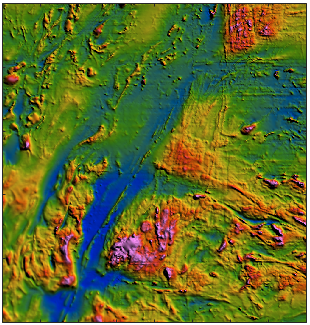 Sykes, M. P. and U. C. Das, Directional filtering for linear feature enhancement in geophysical maps, Geophysics, 65, 1758–1768, 2000. Trompat, H., F. Boschetti, and P. Hornby, Improved downward continuation of potential field data, Expl. Geophys., 34(4), 249–256, 2003. Zeng, H., Q. Zhang, and J. Liu, Location of secondary faults from cross- correlation of the second vertical derivative of gravity anomalies, Geophys. Prospect., 42, 841–854, 1994.